Take on the role of Vera Blanc, a beautiful young woman with the extraordinary ability to read other people's minds! Daughter of Emmanuel Blanc, one of the richest people on Earth, Vera left her life of luxury to work alongside paranormal detective Brandon Mackey. 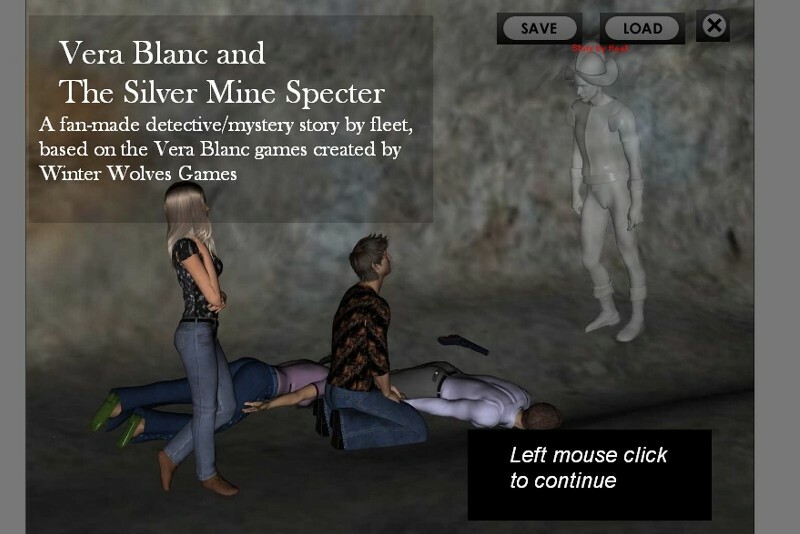 Vera Blanc immerses you in the world of the supernatural as you play the detective! In this game Vera Blanc and her partner Brandon Mackey travel to Texas at the request of a young woman to find her missing brother, who was seeking a lost silver mine. What happened to him? Will you be able to solve the mystery? This is an original story, based on the Vera Blanc and Brandon Mackey characters, created by winterwolves games (characters used with permission).